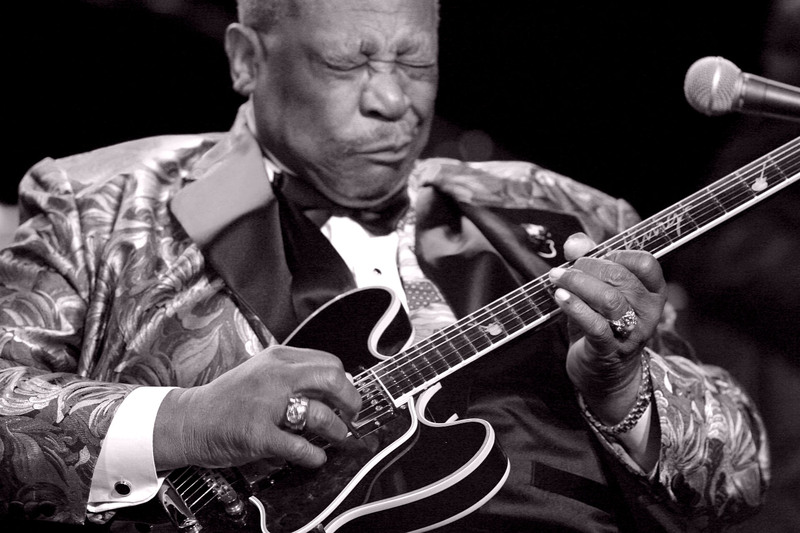 sad news today as we found out that God booked B.B.King for an eternal blues session in Heaven. We lose a huge guitarist, God gets a front row ticket to a great concert. Riley B. King was born on September 16th 1925 on a cotton plantation. 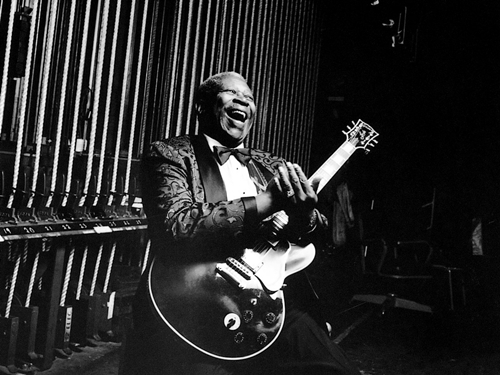 He got his first guitar from Bukka White only to later become the King of Blues. 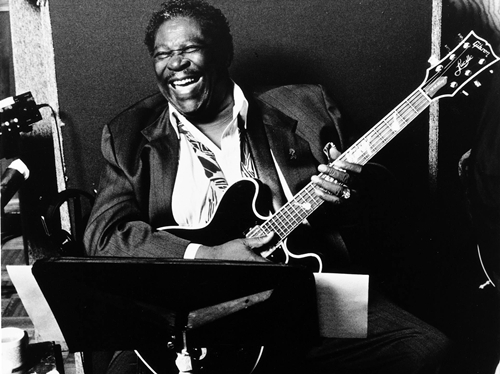 He passed away at the age of 89, after mesmerizing the whole universe with his talent and passion for blues music. Every time he touched Lucille he made magic happen. Who is Lucille? The story says that in the mid-1950s, while B.B. was performing at a dance in Twist, Arkansas, a few fans became unruly. Two men got into a fight and knocked over a kerosene stove, setting fire to the hall. B.B. raced outdoors to safety with everyone else, then realized that he left his beloved $30 acoustic guitar inside, so he rushed back inside the burning building to retrieve it, narrowly escaping death. When he later found out that the fight had been over a woman named Lucille, he decided to give the name to his guitar to remind him never to do a crazy thing like fight over a woman. Ever since, each one of B.B.’s trademark Gibson guitars has been called Lucille. Let’s say a little prayer for him an forever be grateful for the music he left us.